After the recent issues regarding the safety of Aadhar card, some major changes are being made by the government. The Aadhaar Card issuing authority UIDAI has announced that it is implementing a few security features including the Aadhar Card Virtual Id. As per UIDAI’s latest circular, the authority will issue a 16-digit Virtual ID to prevent Aadhaar number from being shared with any agency. It will not be necessary to give 12-digit Aadhaar card number for taking advantage of any service be it for mobile number verification, or bank account linking. Instead, people can use the 16-digit vertical Id. The Unique Identification Authority of India (UIDAI) will issue this new security feature to prevent Aadhaar data breach. 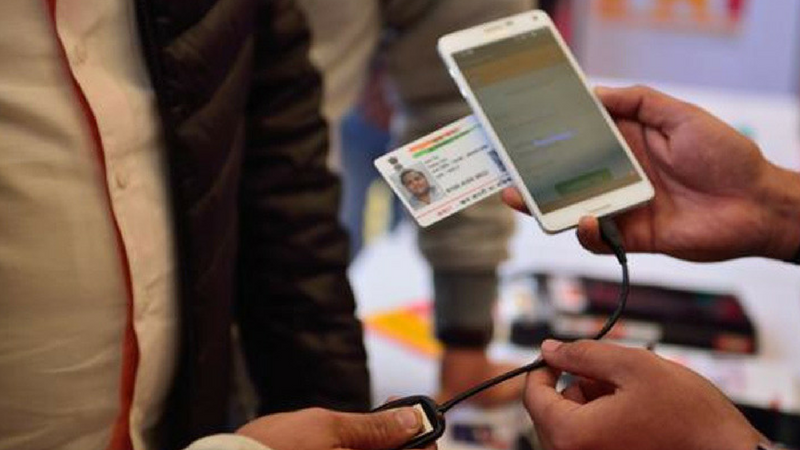 The Virtual ID will be a 16-digit temporary number that can be shared with a bank, insurance company and telecom service providers instead of the Aadhaar number. It will not be possible to find the Aadhaar number by using the Virtual ID. The Virtual can be created by the users itself and it can be created any number of times. UIDAI will start the issuance of Virtual ID from March 1, 2018. The authority will release its software before then and as soon as the new software starts working, people will be able to generate the Virtual ID by visiting the UIDAI website or by downloading the mAadhar App. The UIDAI will provide a separate page for the Virtual ID and by filling the required information, Aadhaar holders will be able to generate the Virtual ID. After getting this 16-digit number, the Aadhaar card holder will need to give only this virtual number along with his fingerprint. If you forget your virtual number, you can easily create it again. The main benefit of having a virtual number is Aadhaar holders will never need to give their Aadhaar number to anyone. Further, users can generate a new virtual id as many times as they want. And they can apply for any service by giving the virtual ID. No company will be able to find your Aadhaar number from the Virtual ID number. Even data from your bank details to your personal information will be kept secret and no one will be able to misuse your Aadhaar number. As soon as the Aadhaar Virtual ID generating process starts, we will provide a step by step guide to create the virtual ID.